Saudi Arabia is waging a diplomatic war on Canada. Here are a few key facts to bring you up to speed on the rift. 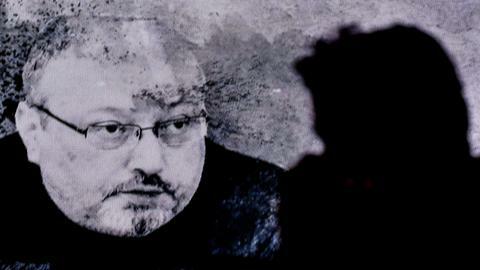 Tensions have been high between Saudi Arabia and Canada after the latter denounced a new crackdown on rights activists in the kingdom and demanded that jailed activists be freed immediately. Following Canada’s reaction, Riyadh went ahead and expelled Canada's ambassador, recalled its own envoy, froze all new trade and investments and ended state-backed educational and medical programmes in Canada. The escalating diplomatic dispute started over Canadian Foreign Affairs Minister Chrystia Freeland's tweet asking the kingdom to release the detained women’s rights activists. The tweets referred to human rights activist Samar Badawi and her writer brother Raif Badawi, who was arrested in Saudi Arabia in 2012 and later sentenced to 1,000 lashes and 10 years in prison for insulting Islam while blogging. The next day, Canada’s global affairs office called on Saudi Arabia to “immediately release” Samar Badawi as well as “all other peaceful #humanrights activists” in a tweet. Saudi Arabia’s response was quick. #Statement | The Canadian position is a grave and unacceptable violation of the Kingdom's laws and procedures. In addition to violate the Kingdom's judiciary and a breach of the principle of #sovereignty. The kingdom then expelled the Canadian ambassador and ordered 15,000 Saudi students, including about 800 medical trainees, to halt their studies in Canada, cancelled new trade with the country and barred Canadian wheat imports. Saudi Arabia has also stopped all medical treatment programmes in Canada and is working on transferring all Saudi patients there to other countries, state media said. 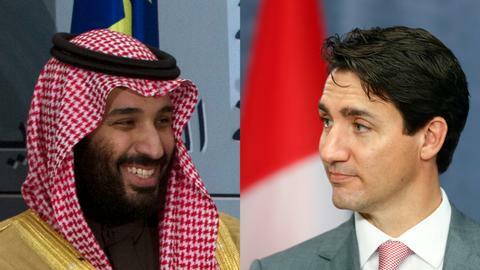 Even though the spat will force schools like Techno Canada to scramble for new students in the middle of the summer, the Saudis may not have as much leverage over Canada as they thought. Many in the country say they are less concerned about the effects on Canada of the diplomatic spat than they are concerned for the well-being of the 15,000 students who were told they cannot resume studies for the fall semester and 800 doctors and medical residents who must leave by September 1. The Saudi state airline also announced it was suspending operations in Toronto. Riyadh's Center for International Communication (CIC) posted a tweet late on Wednesday saying, "neither the government nor the Central Bank or the state pension fund has issued any instructions regarding the sale of Canadian assets." "From a mutual funds perspective, I don't think there's any significant investment in Canada from Saudi Arabia," said a banker based in Riyadh. "The footprint is light and very small compared to in the United States." The Saudi energy minister said the dispute will not affect the ultra-conservative kingdom's oil sales to Canadian customers. Canada, itself one of the world's five top energy producers, gets some 10 percent of its oil imports from Saudi Arabia. Bilateral trade between the two nations is $3 billion a year. Canada has been disappointed that Western powers —including the United States, a key ally of Saudi Arabia — did not publicly support Ottawa. "Both sides need to diplomatically resolve this together. We can't do it for them. They need to resolve it together," US Department of State spokeswoman Heather Nauert told a briefing on Wednesday. US President Donald Trump has stayed silent on the matter. 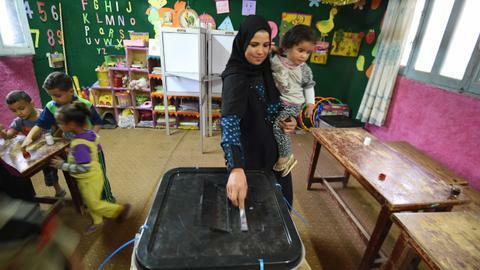 Egypt has supported Saudi Arabia in the political row and stood in "solidarity" with the Gulf Arab kingdom against foreign interference in its domestic affairs. A government source confirmed that Canada is quietly nudging allies, including Germany and Sweden for help with resolving its row with the Saudis. Canada's government has expressed alarm at the moves but has not backtracked or apologised. Prime Minister Justin Trudeau said he doesn't want bad relations with Saudi Arabia but added that Canada will continue to speak out on human rights. He referred to the matter as "a diplomatic difference of opinion" and told reporters in Montreal that Freeland had held a long conversation with her Saudi counterpart on Tuesday, but gave no details. Women's rights advocates, charitable organisations and civil rights groups, meanwhile, urged the international community "to join Canada in calling for the unequivocal respect of women's rights in Saudi Arabia." They also called on Riyadh to "immediately release" female activists in detention and commended Freeland "for her uncompromising stand for human rights. 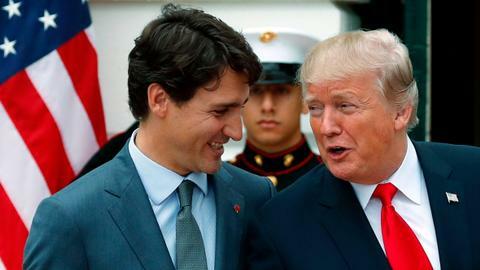 But Saudi Arabian Foreign Minister Adel al Jubeir said earlier on Wednesday that there was no room for mediation, adding that Ottawa knew what it needed to do to "fix its big mistake." "Western governments expressing concerns about human rights issues in the kingdom is nothing new, and Saudi authorities have long pushed back against what they characterise as inappropriate interference in their internal affairs," RBC Capital Markets' Helima Croft wrote. But 32-year-old de facto ruler Crown Prince Mohammed bin Salman is more willing than predecessors to throw caution to the wind, she added. He may be extra sensitive to outside criticism in light of recent challenges implementing his ambitious economic reform agenda. It is unknown how the dispute will unfold, but for now both sides are sticking to their guns.